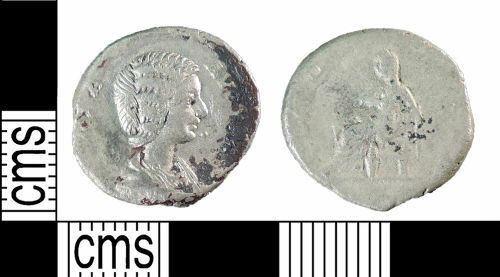 A silver denarius of Julia Domna dating to the period AD 196 - 211 (Reece Period 10). PVDICITIA reverse type depicting Pudicitia seated left right hand on breast, left hand resting on chair. Rome mint. RIC IV, p. 170, no. 576.